Attention! If you learn a lvl 4 or lvl5, it takes very long until a lvl 4-5 is coming again. Better skip bad skills. 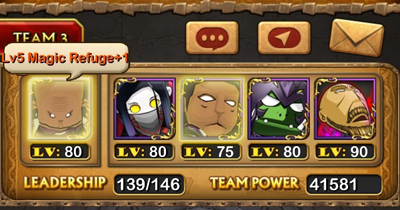 If other cards in your team have the exact same skill at the exact same level as your leader, each "extra" provides a boost to the value of that leader skill. It has to be the same level though, so having three cards with Magic Refuge 4 in your team will not provide any bonus to a leader who has Magic Refuge 5. 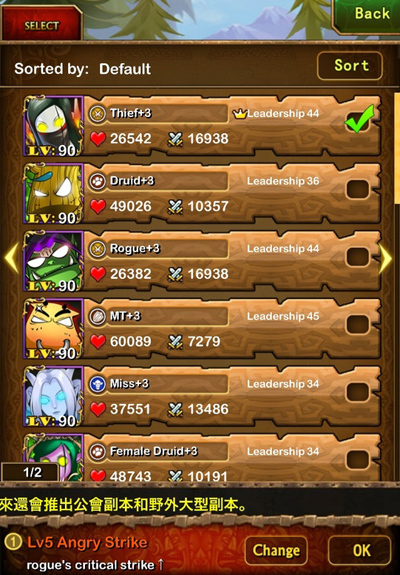 Every time you change your leader you should look at the bottom of the screen to make sure that the right skill is selected. The good news is, once you've set your leader's skill like that the game will automatically look through your other cards and see if they have the same skill at the same level. If any of them do, it'll give you the appropriate bonuses without you having to set all of their skills manually.